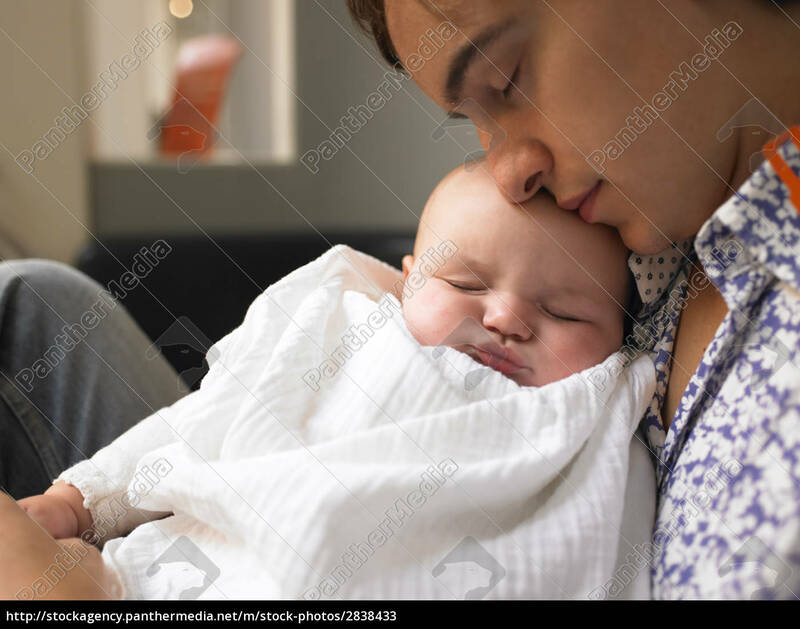 Stock Photo - Father holding baby. Both are sleeping. Horizontally framed shot.